Unfortunately, getting new electronic equipment usually means ending up not only with the boxes but also fairly large chunks of molded styrofoam packing. I unpacked two gadgets this weekend and when I went to throw away the styrofoam I found that the four big pieces would take up nearly two thirds of my trash bin. Even chopping them up, no easy task, only reduced them to a third of the trash can and I didn’t have that much room left. So called “gunmen” have attacked a police academy in Pakistan. Eleven innocent people, eight police and three civilians, have been killed. Think this is India getting some revenge for the Mumbai attacks last year? That is too thriller-of-the-week for me to take seriously unless there is some evidence. Besides, there are enough Islamic terrorist groups wandering around inside Pakistan that you don’t need to go looking outside the country for someone pissed off enough to pull a stunt like this. Strategypage has posted a pretty good essay concerning how the ISI, which is Pakistan’s intelligence services, has a very close working relationship with several terrorist groups. Seems the ISI political section was disbanded last year. It could be that this is some scheme put together by the spooks to prove to the new civilian government that they really need to give ISI a longer leash. But that is pretty thriller-of-the-week as well. Some of the “gunmen” have been captured. I doubt they will keep any secrets for long. Honestly, could you get a better distillation of the essence of leftist environmentalism than a bunch of leftists filming themselves enthusiastically switching off lights to plunge the world into darkness? Today’s WSJ has an editorial on the malign effects of the Consumer Product Safety Improvement Act–specifically, its impact on children’s books. The CPSIA issue should be of great concern to everyone who values entrepreneurship and the ability of individuals to create and thrive outside of large, credential-obsessed bureaucracies. It is disappointing that the conservative/libertarian blogosphere hasn’t been more aggressive in publicizing the problems with this legislation. I enjoy going to used book stores and could probably just sit in there day and night, perusing the selections. Recently I was in the “After-Words” book store in Chicago and picked up some interesting books, and saw these used books on the shelf that made me laugh out loud. The first book is about Jurgen Schrempp, the former CEO of Daimler, who presided over the disastrous acquisition of Chrysler in the United States. Of course the book is the usual puff-piece and it is hilarious given the complete value destruction caused by this merger. Eventually, Daimler basically gave away Chrysler to Cerberus, the private equity firm, which continues to run it into the ground to this day. Even now I can’t imagine how anyone thought the Mercedes / Chrysler merger was a good idea. Don’t forget that Schrempp also presided over the collapse of Fokker, the Dutch airplane maker (remember those WW1 planes?). It is unclear what he ever did to warrant such a book and its existence is pretty ludicrous. The second book is about John Sculley, who came on in the 80’s and into the early 90’s to Apple, famously bringing his marketing ideas from Pepsi into the computer firm. At the time Apple was having problems and it seemed like some new leadership would help; but in the end he left in a cloud and is now completely and utterly forgotten. Steve Jobs is seen today as a genius, the fore-runner of the iPod and now the iPhone, along with the continually evolving and chic line of Apple computers. This puff piece too is a relic and hilarious – look at John Sculley’s bio on Wikipedia – by the end he is in a 2 man firm that is going nowhere. He is a famous example of the “Peter Principle” where a man who invented the Pepsi Challenge (a very good idea) peaked and then went into a long slow decline. The fact that these two books are fronting the business section at After-Words either means the clerks have no idea what they are doing or have a supremely intuitive sense of irony. WASHINGTON, DC – Flanked by the embattled President of Mexico, Felipe Calderon and the Secretary of Homeland Security Janet Napolitano, a weary looking President Barack Obama used a press conference to angrily denounce as “Alarmist and inflammatory” a recent report issued by the conservative Heritage Foundation that declared the massive chain of UN administered Mexican Refugee camps in Arizona, New Mexico and Texas as “a bottomless well for narco-insurgency” and “a threat to the territorial integrity of the United States”. The camps, home to at least 2.5 million Mexican nationals, are dominated by the “Zetas Confederales”, a loose and ultraviolent umbrella militia aligned with the feuding Mexican drug cartels that now control upwards of 80 % of Mexico. President Obama’s political fortunes have been reeling recently in the wake of high profile incidents that include the kidnapping of his Special Envoy for Transborder Issues, former New Mexico governor Bill Richardson, and the car bombing assassination of popular California Governor Arnold Schwarzenegger that killed 353 people in Sacramento last month. Both events have been tied directly to factions of Zetas “hardliners” who operate with impunity on both sides of the US-Mexican border. President Obama used the conference to point to the “clear and hold” COIN strategy that has recently restored order and even a degree of tourism to Las Vegas, once the scene of bloody street battles between Zetas, local street gangs and right-wing American paramilitary groups, as a sign of the success for his administration. Democratic leaders on Capitol Hill remain skeptical and say that it is likely that President Obama will face a primary challenge next year from Senator Jim Webb (D- Va), a former Secretary of the Navy in the Reagan administration, who called the president’s COIN strategy “The right course of action” but ” Two years too late”…. That fictional scenario above is offered as a thought experiment. A fascinating look at the Soviet economic system in the 1930s, as viewed from the front lines of that system. Gennady Andreev-Khomiakov was released from a labor camp in 1935, and was fortunate to find a job as a book-keeper in a sawmill. When the factory manager, Grigory Neposedov (a pseudonym) was assigned to run a larger and more modern factory (also a sawmill), he took Gennady with him. He was unable to move quietly. Skinny and short, he moved around the plant so quickly that he seemed to be running, not walking. Keeping pace with the director, the fat chief mechanic would be steeped in perspiration…He rarely sat in his office, and if he needed to sign some paper or other, you had to look for him in the mechanic’s office, in the shops, or in the basement under the shops, where the transmission belts and motors that powered the work stations were located…This enthusiasm of his, this ability to lose himself completely in a genuine creative exertion, to give his all selflessly, was contagious. It was impossible to be around Neposedov without being infected by his energy; he roused everyone, set them on fire. And if he did not succeed in shaking someone up, it could unmistakely be said that such a person was dead or a complete blob. With his enthusiasm and dedication to his factory, Neposedov comes across almost as a Soviet version of Hank Reardon (the steel mill owner in Ayn Rand’s Atlas Shrugged), with this difference–Nepodesov could throw himself as enthusiastically into bureaucratic manipulation as into his technical and leadership work. All of his skills would be needed to make this factory a success. Last night was the Earth night here in Chicago when they turned out the lights for an hour. I found it slightly ironic that the next day we had a big blizzard here in Chicago, and we have been sorely lacking in any of the promised rise in temperature with another brutal winter. Here is the link to the video. Coyote Ugly! This fine establishment (I am reminded of the line in Animal House when the fraternity representative is defending the Delta house by saying that it has “A long history of existence”) sits on what would appear to be a very valuable tract of land in the River North area of Chicago. Given that the Coyote can’t be a high rent tenant and it takes up a lot of a city block, you’d figure that some real estate developer would knock it down (wouldn’t take much, the damn thing is practically a tent and it is a wonder that it doesn’t just blow over)and put up a big condominium or the like. But now that NO ONE can get financing for any type of new construction (and the existing construction is at risk of sitting there, half completed) the Coyote will be protected, likely for many years, since this bust will take a while before the animal spirits of capitalism rise again in the form of easy bank loans to finance condominium construction. In the interim period we will have to rely on the low power of that scavenging, mangy Coyote animal on this prime piece of real estate. What if you had spent all the money that was lost in the recent market declines instead of watching it fall in value? I was walking through River North last weekend when my personal answer sat on the curb right in front of me – a brand new Nissan GTR, valet parked by a high-end restaurant and club. Sure it has a sticker price above $70,000, but it is about the fastest thing on the road and has a great control layout and is a Nissan, to boot (so it likely won’t end up being a rolling pile of junk after a few years). Of course, this is now fantasy-land, since reality binds me to the GTR’s all-too-practical sibling, a 1999 Nissan Altima, nearing a decade in service but still reliable and practical for the almost no driving I do in the city. Not that I am encouraging this type of thinking (spend it now because it is falling in value), because it is critical for everyone to keep a long term perspective and to plan for the future. These market losses are discouraging but this is life and we need to keep marching ahead and learn from our failures. It is likely that high government spending and large deficits will mean that relying on social security, always a bad plan, will become even less viable, since all the other spending will crowd out this benefit. Just a reminder about the rally to educate Congress about the harm being done by the poorly-thought-out Consumer Product Safety Improvement Act. Just in case anyone needs some extra incentive to come to DC, the National Cherry Blossom Festival should be in full swing. Peak bloom date this year is projected as April 1–April 4. UPDATE: See this related post from the Assistant Village Idiot: Book Destruction & Chronocentrism. 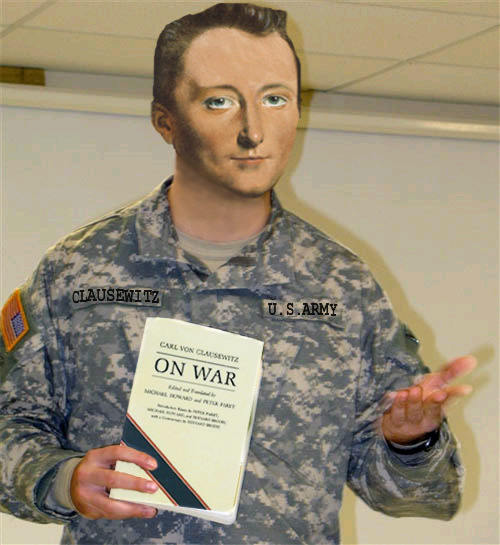 Clausewitz, On War: A Clausewitzian Revival? “…we say that there is only one result that counts: final victory“. Yet at the same time, Clausewitz is often forgotten, as by the Kaiser’s Grossgeneralstab on the eve of the Great War or by America’s four star grandees at MACV when JFK believed in “flexible response” and LBJ in “escalation”. Then, painfully, after national hubris or martial incompetence brings some great historical debacle, Clausewitz is remembered again, sometimes to be blamed or to be offered up as a savior and the dog-eared copies of On War are taken from the shelf and dusted off. I think we are living in such a time. This roundtable has been a delight. Not only did it force me, someone who was not particularly in tune with Clausewitz to give On War a second and more serious reading but the other participants who have posted here or discussed CvC further via email have been enlightening and in some cases, caused me to reconsider prior opinions. For that I thank all of you. America needs more military strategists and more statesmen who understand how to think strategically. It is a shame that On War and other classics are not required reading in the universities that produce the American elite and it is daunting to consider that we regularly elect politicians to posts of high responsibility who never managed to get through key texts like The Republic or On War. If you couldn’t stare down the ghosts of Plato or Clausewitz from the comfort of your dorm room how will you look a Putin or Ahmadinejad in the eye? How can you steer the ship of state when you do not know the fundamentals of navigation? Therefore, despite my partiality for Sun Tzu and my unapologetic admiration for John Boyd, I hope more people elect to pick up On War and wrestle with the author until they understand his unsparing but subtle philosophy of war. America can only benefit from a Clausewitzian revival. The first is the modern electricity grid, which is designed to operate at ever higher voltages over ever larger areas. Though this provides a more efficient way to run the electricity networks, minimising power losses and wastage through overproduction, it has made them much more vulnerable to space weather. The high-power grids act as particularly efficient antennas, channelling enormous direct currents into the power transformers. 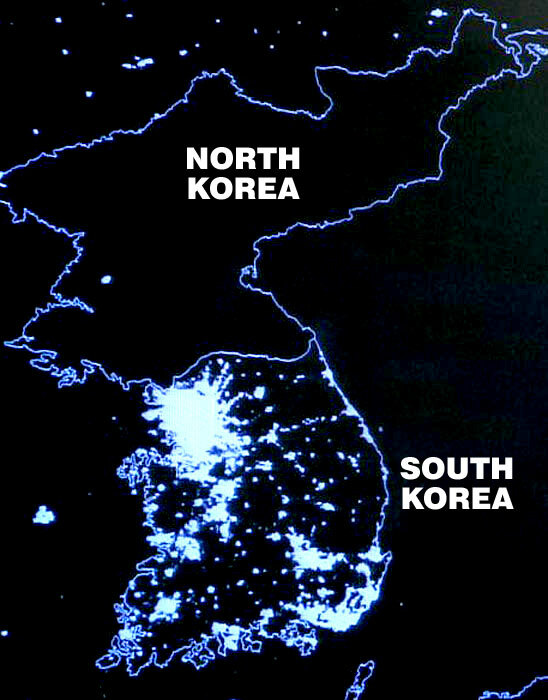 Obviously, increased use of solar and wind power will increase this sensitivity to solar disruption. …from AIG executive Jake DeSantis. Put together, these three assessments are devastating, even though Cohen has not caught on yet to the fact that Obama is not a reformer, and never has been one. Applebaum has the best description of the underlying fault; Clinton, Obama, and Pelosi are not living in the real world, a world in which nations have histories that can not be reset, constitutions and laws that can not be ignored, and financial problems that can not be solved simply by giving more power to the federal officials who did so much to create those problems. One final, sobering thought: We are accustomed to discounting “campaign rhetoric”, accustomed to assuming that politicians do not believe much of what they say during a campaign. But we must, from time to time, consider the possibility, however unpleasant, that campaigners believe much of what they say. Clinton, Obama, and Pelosi may have believed the attacks they made on George W. Bush, who they depicted as both misinformed and misguided. That would explain why they seem to think that they can simply replace Bush and “reset” things to make them right. Makes more sense than most alternative energy projects. Remember the first rule of leftist engineering: If everyone believes hard enough that a technology will work, then it will work. Under Communism prior to Deng Xiaoping, mainland China was a starving wasteland with few consumer goods, frequent famines, and millions living in caves (no joke). After Deng unleashed his reforms in the countryside, which migrated to the cities, the Chinese government removed the boot of this failed dogma and unleashed a nation of hard charging entrepreneurs and traders. For years the overseas Chinese were some of the most successful business people in Asia – now they were free to raise the standards of living of their own people. Power plants were built – millions of homes didn’t even have heat – and the country roared to life. New cities were built, highways, ports and railways crossed the country, and now China is the manufacturer for a huge variety of what you have in your house today. And what did the Chinese consumer want? They wanted what YOU have – a car (bicycles went by the wayside as soon as they had the money), a nice flat, overseas travel, air conditioning and heat in the winter, electricity to power their myriad consumer devices and appliances, and food of all types (especially meat products). An explosion of manufacturing and consumption erupted throughout the country which hasn’t abated (may be slowing a bit now due to the recession). Wow, who could imagine, a Republican acting like a Republican? Somehow, we need to get the “developing” countries to quit copying our disasters in the first world. Showing real respect for the quiet life in villages would be a help. How about a Discovery Channel series on “The Truly Sustainable” – showing village life wherever it can be found, and not focused on “gosh, no plumbing”, but on – “this clan has lived here for 1,000 years…’ – and showing community dynamics. Obviously, the writer has never had cholera. The scary thing about this comment is that it showcases a school of thought more common than not on the far Left (25% most left). Here we see the culmination of the Left’s evolution from technophiles to technophobes. Only a politically driven collective delusion could cause an educated person to believe that 1,000 years of cultural stagnation is more important than preventing the enormous suffering and death caused by sewage-borne illnesses. Bill Waddell argues that American government and business suffer from excessive dominance by people from a small number of “elite” colleges and prep schools. First, my professors were very diverse. They came from North America and Asia and had a variety of experiences. They had worked in private industry and some still served on boards of various companies. I enjoyed some more than others, but they were all excellent. More important was the student body. I, and most of my other classmates, learned more from each other than our professors. Of the 143 people in the course, 45 are from the United States (about 30%). So yes, we were all located in Boston, but we came from all over the world. I can not speak for the other programs, but if you ask my fellow classmates why they chose Harvard it is clear – we feel that Harvard is the best. Yes it is the best in our minds (we decided to spend the money), but there is no doubt that the institutions that you mentioned attract some of the best professors and students from all over the world. Well, this hasn’t worked so well for the Jehovah Witnesses. I’m not sure America is ready for a Great Awakening secular style; perhaps those Awakenings that have followed upheavals throughout our history may help immunize us to enthusiasms like this. Or not. I guess we’ll find out. It does demonstrate just how well we can expect our tax money to Acorn to be used and just how well that whole Acorn taking the census is likely to work out. My hyperbole before the election to my friends is proving to not be as exaggerated as they (and to be honest I) thought. When I was coding the category, I was caught – does this belong under politics or religion? Fortunately, the poll numbers are down. But how riven is this nation going to be by igniting passions like these? Or should I, as I expect is appropriate, calm down and trust Americans, which is generally the best thing to do. Later: I might say that my husband voiced an opinion (hope) this is merely a hoax. The comments at Hot Air, however, link to the original, at Organizing for America. Commentary (the obvious written comments) were added by people that were more critical, of course. The core, however, is there.